I'm sure we've all been there ... we made a great dip or just poured some salsa to enjoy, we go to grab the chips and the bag has 10 chips left in it. Or, you're like me and you bought corn tortillas to use for an enchilada recipe but don't really love corn tortillas so they sit in your pantry and you can't seem to get rid of them! I find myself in those two situations quite often. 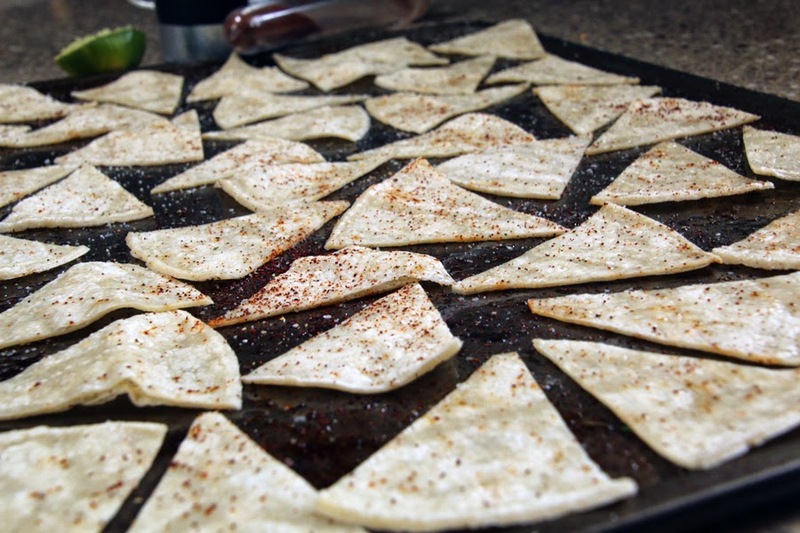 So, I started making homemade tortilla chips. They are amazing. 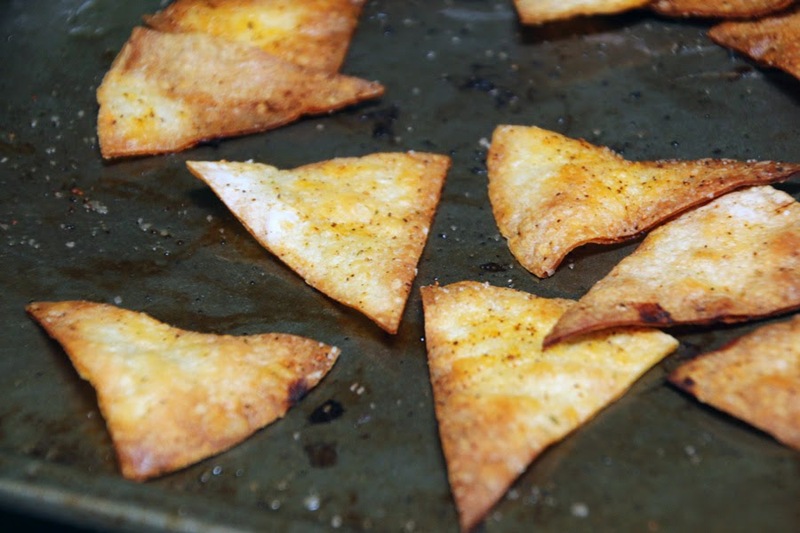 They are thick, almost like a cracker but not quite as thick as a pita chip. They make a great dipper because they are stronger than your average chip. These have also served me well when I want to make something homemade when people are stopping by but I don't really have time. People are always amazed that they are not store bought. 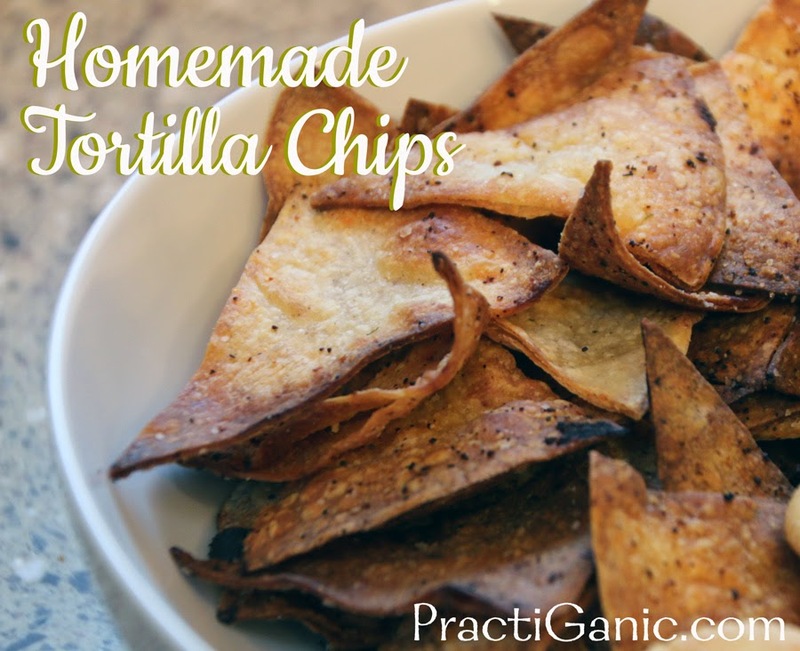 Homemade Tortilla Chips are truly effortless! 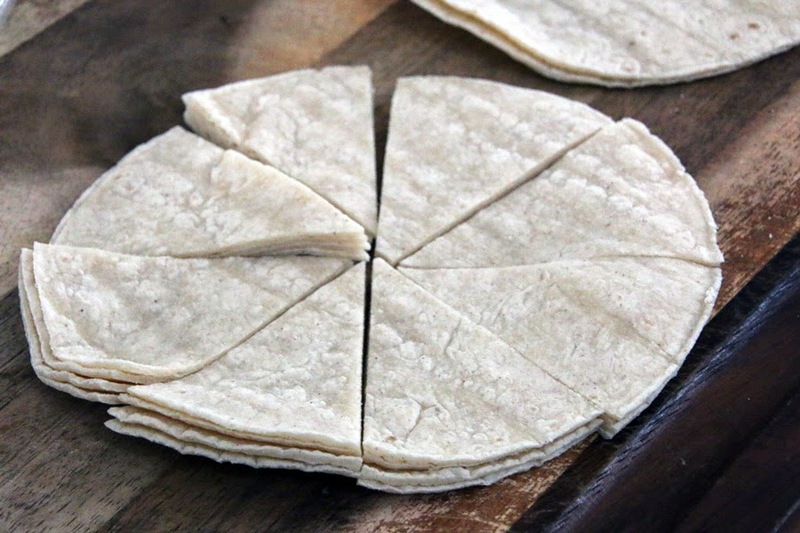 Use knife or pizza cutter to cut each tortilla into 8 even slices. Lay them out on a pan and spray with a little oil. Sprinkle with your desired flavor and season to your liking. Some people like a lot of salt, some a lot of spice. Find your perfect ratio! Bake at 400 for 10 minutes flipping half way through. Watch closely because some may need to come out early. Let them sit on the pan to cool down. If you put them in a bowl right away they will get soggy.